Investigators with the Hidalgo County Sheriff’s Office are asking for the public’s help to locate the suspects in an aggravated robbery that occurred in rural Edinburg earlier this month. The sheriff’s office has issued an arrest warrant for 27-year-old Joe Wally Valdez, a known gang member, according to an HCSO news release. Authorities said Valdez is considered armed and dangerous and advised the public not to approach him. The other suspect’s identity remains unknown at this time. Both suspects are believed to have robbed a man at gunpoint on April 8 at a home located east of Sharp Road off Mile 17 North Road. The man told authorities Valdez and another unidentified man demanded “drugs and money” and “pistol whipped” the victim’s head, robbing him of his cell phone and an undetermined amount of money, according to the release. The suspects fled the scene in a light-colored SUV. 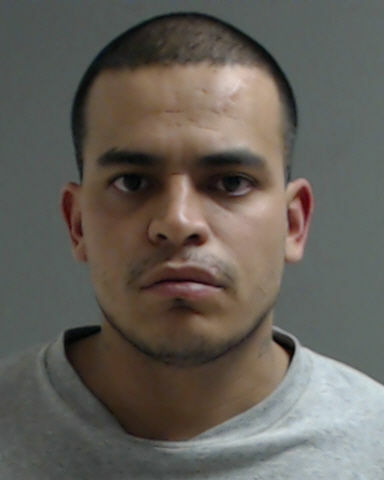 Investigators ask anyone with information on Valdez’s whereabouts or the identity of the second suspect to contact HCSO’s Criminal Investigations Division at (956) 383-8114 or the Hidalgo County Crime Stoppers anonymous hotline at (956) 668-8477. Surveillance video can be viewed on HCSO’s Facebook page.